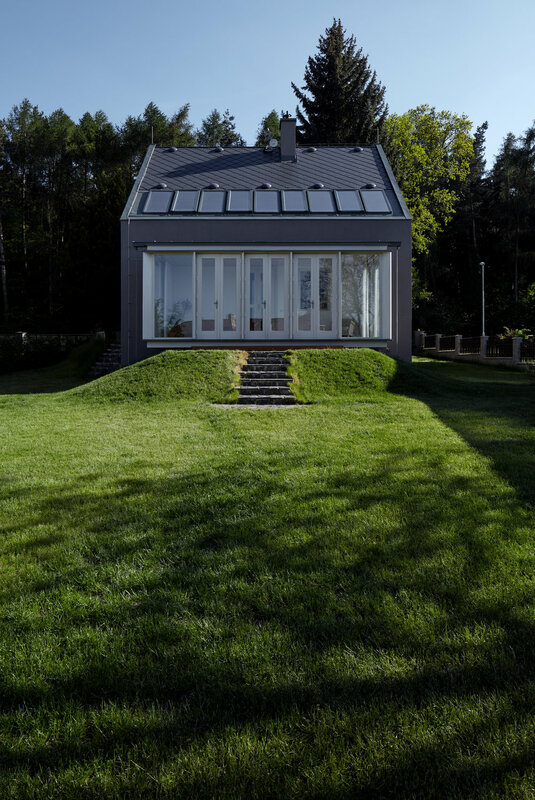 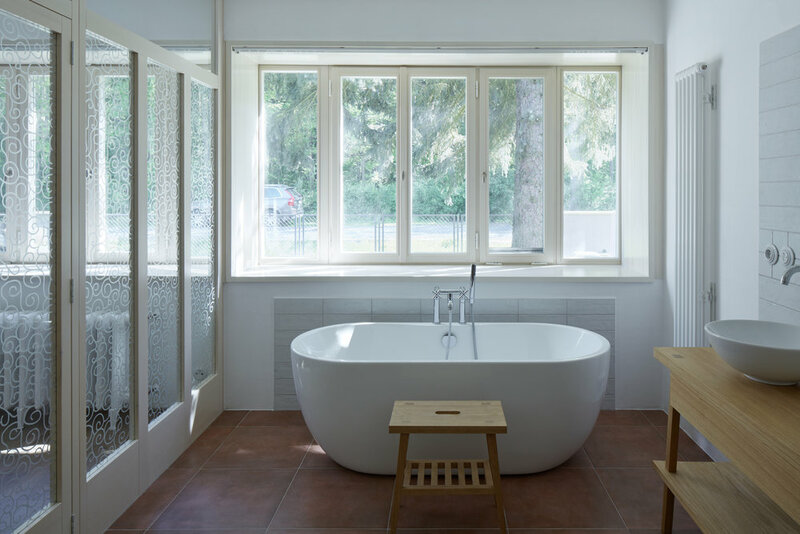 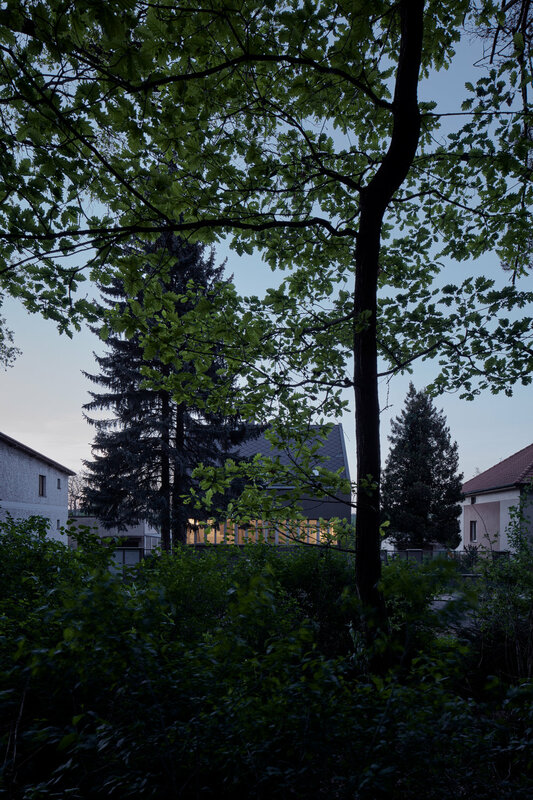 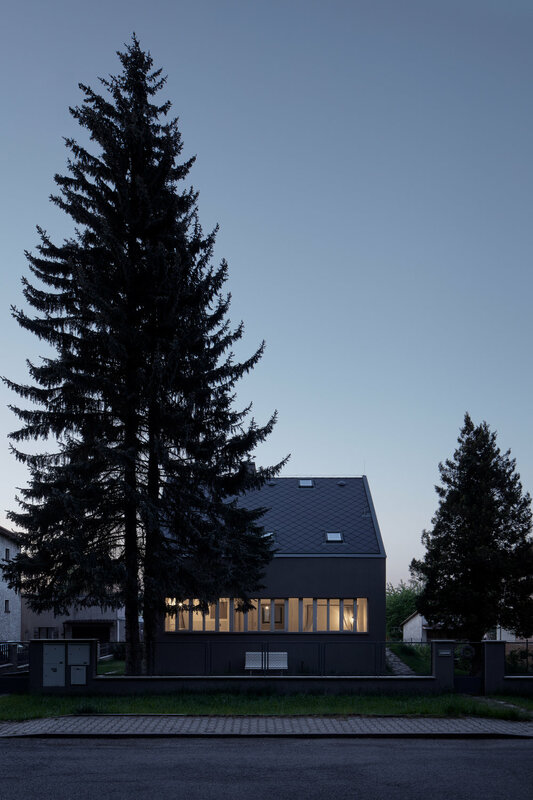 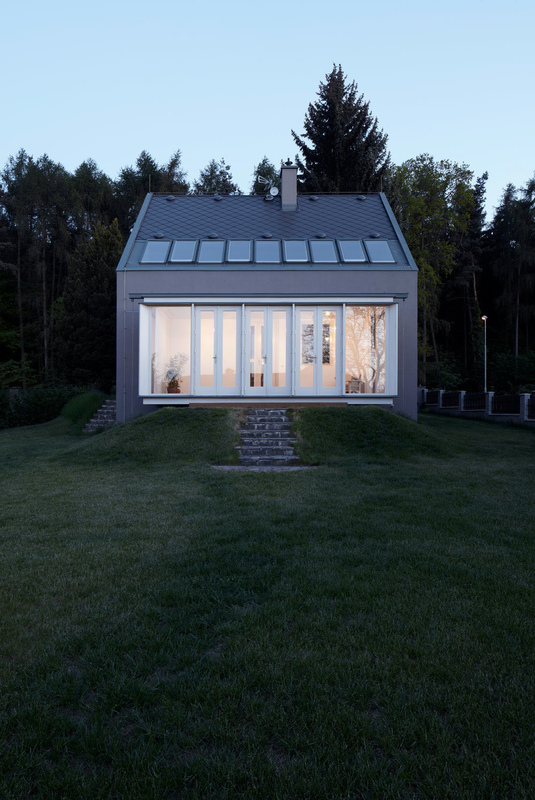 Bordering the woods in a small village in the Czech Republic, the House by the Forest by KAA studio fits a contemporary interior inside its vintage shell. 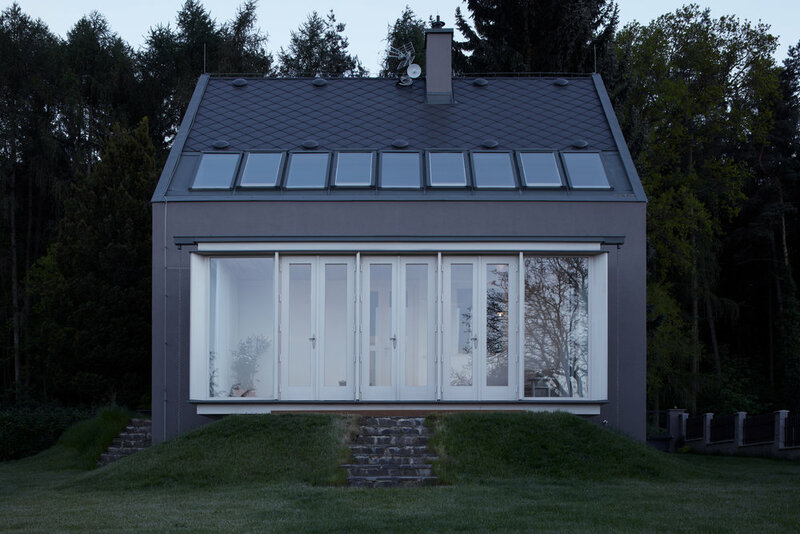 The home’s exterior form was left in its original state, altered only by the addition of new windows and a wooden patio on the garden side. 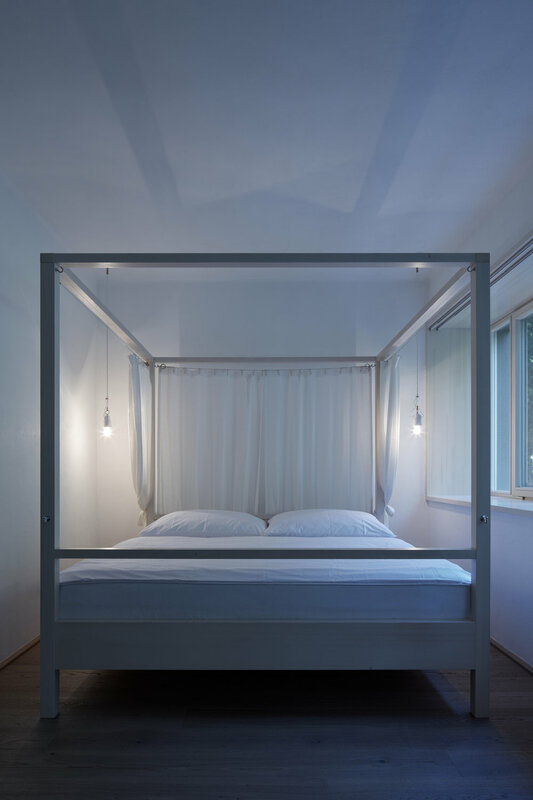 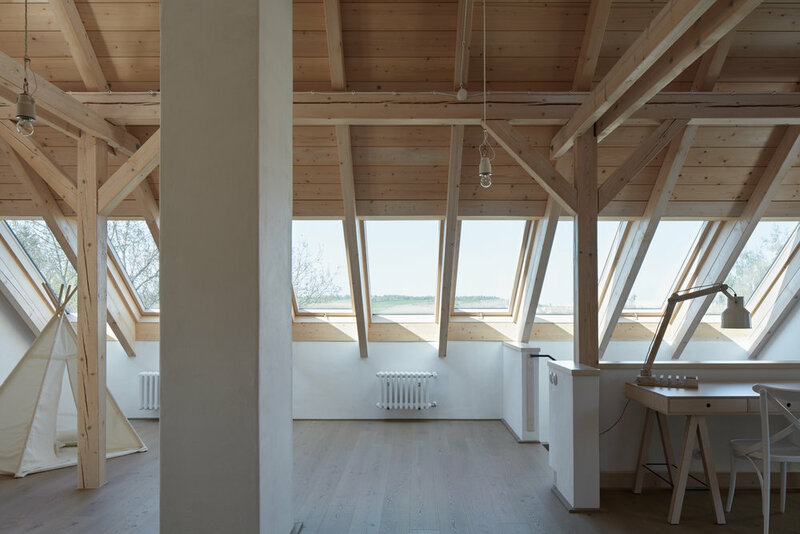 These minor modifications not only introduce the presence of natural light but also allow for new views of the scenic landscape. 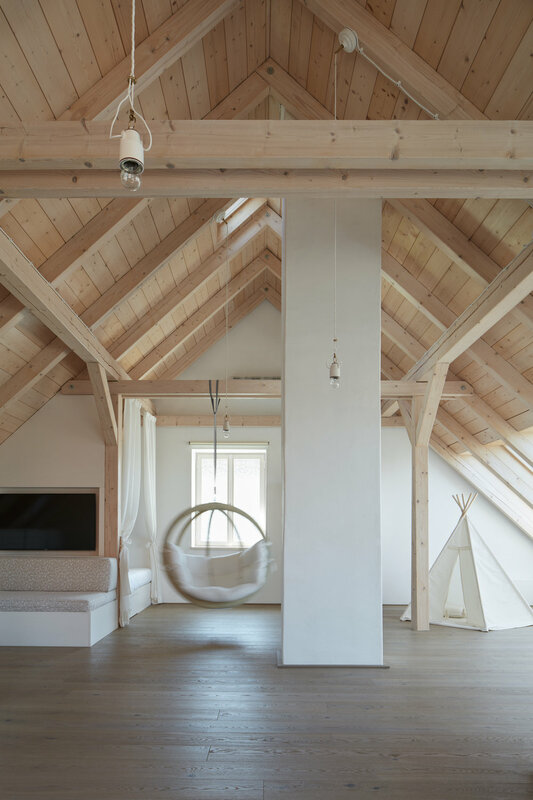 The interior saw a dramatic change with the removal of interior walls to create an open floor plan. 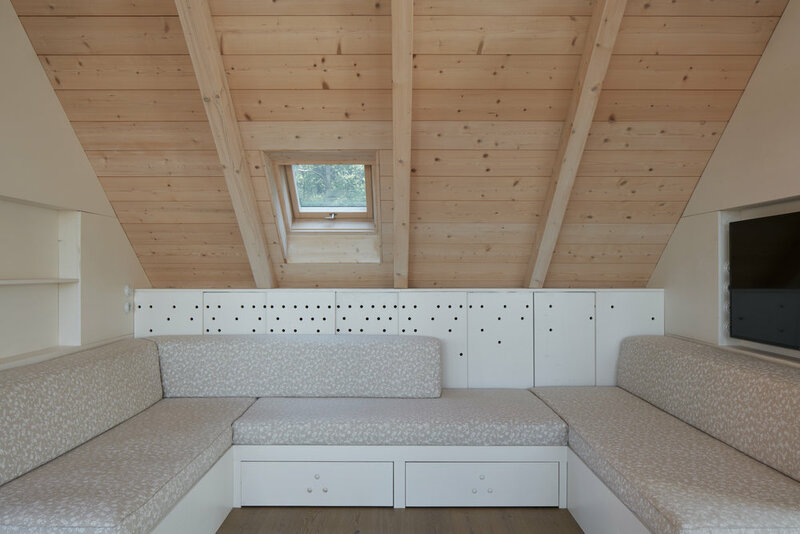 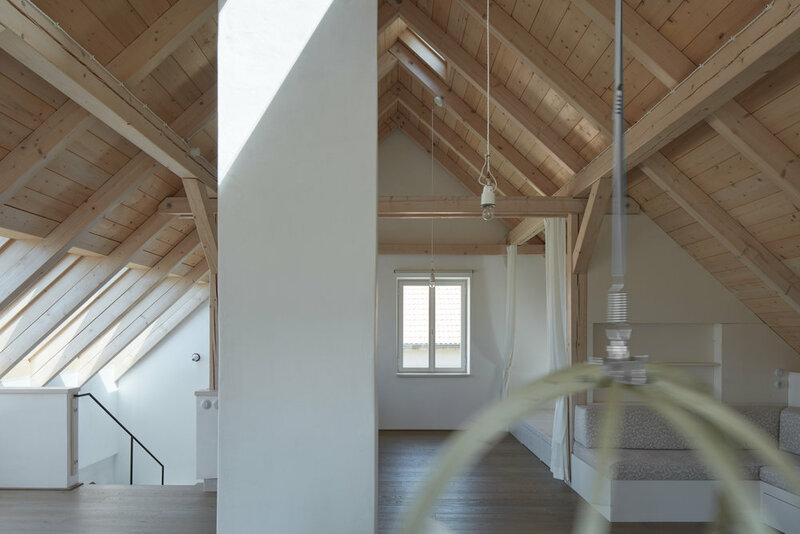 A lightened timber ceiling and custom-made furniture refresh the existing attic, turning the space into a bright living area with glimpses of the neighboring treetops.